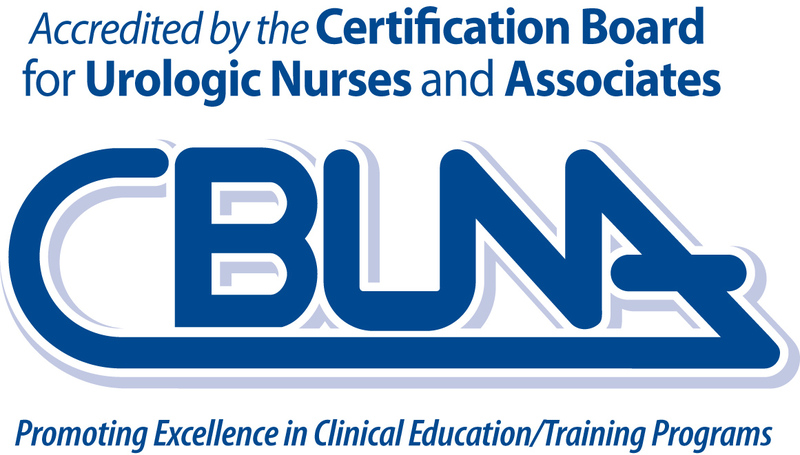 The Certification Board for Urologic Nurses and Associates (CBUNA) has expanded its mission to include the promotion of excellence in the clinical education/training programs offered by the health care industry and organizations (hereafter referred to as corporations). In response to an identified need from corporations to achieve recognition of their industry associates as having completed an educationally sound program accredited by an external, non-biased organization, CBUNA designed and created an accreditation process. The process is divided into three stages. In the initial stage, CBUNA reviews the educational program that has been designed and implemented by the corporation seeking accreditation. The Board specifically seeks to ensure that the program is educationally sound, reflects current standards for safe clinical practice, and offers a balanced presentation of all diagnostic or treatment modalities for specific clinical conditions or disorders. Based on results of the review, the corporation’s educators are provided an opportunity to revise any content that does not meet these criteria. Following revision, the educational program is reviewed by the Board for final approval. The second phase of the process is a review of the testing materials used by the corporation. Testing materials need to encompass the range of content presented in the program. Ideally, the testing material is comprised of multiple-choice questions. There is no minimum number of questions required, but there should be enough to adequately test the material presented. There also needs to be a sufficient number of questions that the corporation can vary for different classes, ensuring that successful completion of the test reflects mastery of the content covered in its educational program. The Board will consult closely with the corporation seeking accreditation to establish a fair and standardized testing procedure and to provide advice regarding standards for testing, and for test security as needed. The final phase of the accreditation process is a site visit by a member of CBUNA. This visit ensures compliance with the educational and testing process, and serves as an opportunity for the educational department of the corporation to review questions related to the process of accreditation. The duration of accreditation is a period of 3 years. At that time the corporation is offered the opportunity for re-accreditation. This process allows the corporation to review and to update its educational materials and testing procedures to reflect current standards. CBUNA is pleased to collaborate with corporations to strengthen their educational and testing programs for industry associates. We strongly believe this program benefits corporations, CBUNA, and most importantly, the patient who is assured competent care delivery from an industry associate who has completed a testing process demonstrating mastery of these skills and knowledge. A nonrefundable fee of $2,000 will be required before the board begins work to evaluate a new program. This amount will be applied to the $7,500 fee. Accreditation fee to be paid in full prior to scheduling a site visit.